Chic Alert: Mother2B Up to 50% Off Sale! 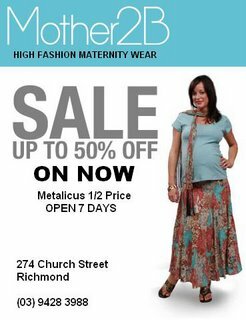 Mother2B Up to 50% Off Sale! Zegna Up to 50% Off Sale! Nicola Finetti 75% Off Sale !! !